With the opening of Ufaa by Chinese Chef Jereme Leung on 27th September, the resort now owns 12 restaurant. The restaurant being the first authentic Chinese restaurant at the island nation offers modern twist of Chinese with western influences in its décor, menu, tea, and wine selection. 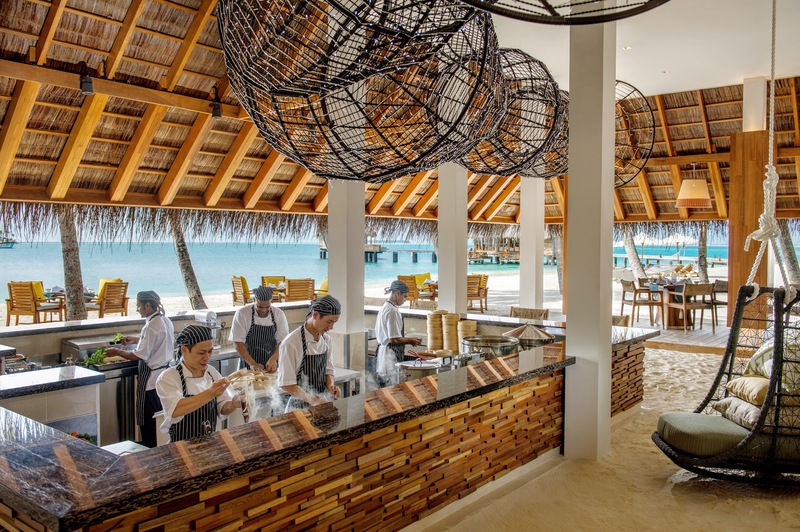 “Ufaa” translated to happiness in the Maldivian (Dhivehi) language, follows an innovative culinary concept, featuring multi-functional spaces, with settings for all moods and an alternative evening menu that updates each month suiting for the island’s surroundings. The dishes are influenced by famous culinary provinces of Chinese such as Shannxi, Liaoning, Guandong, Zhejiang and Changsha. The pioneer of contemporary Chinese cooking, the creative mastermind brings home-grown cuisine with exciting combination of quintessential Chinese cooking, the immensely successful restaurateur creates an exciting combination of quintessential Chinese cooking method and ingenious presentation style. The sorts of specialties offered at the Tea House with a dumpling counter includes flavorous Xiao Long Bao. Even with the feel of traditional Chinese restaurant feel, citing also to the ideal location. Substances such as goose oil, avocado and caviar are interfused with traditional Chinese staples to create the perfect blend of cultures and tastes. The ground floor tea house at Ufaa features spaces where guests can mingle over a game of Mahjong or a bit of karaoke in one of the restaurant’s custom-built karaoke and Mahjong rooms. 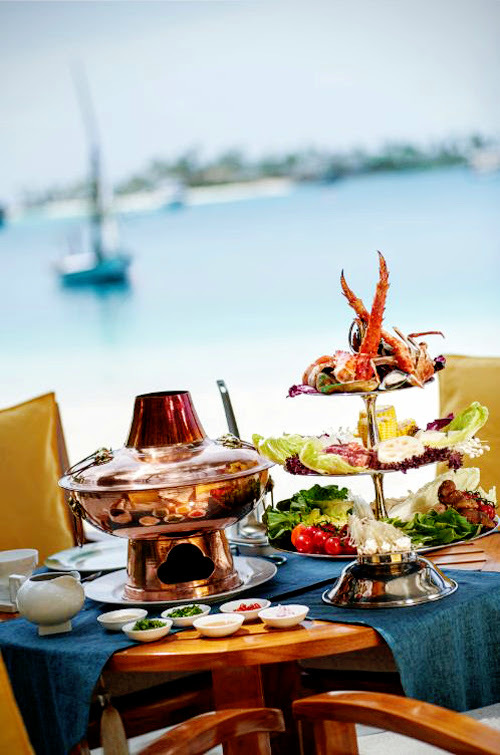 Conrad Maldives Rangali is an unrivaled dining destination in the Maldives region, offering a priceless ambrosian experience beyond imaginable.